“First of all, thank you for putting out a newsletter. It is very informative! My question is this. 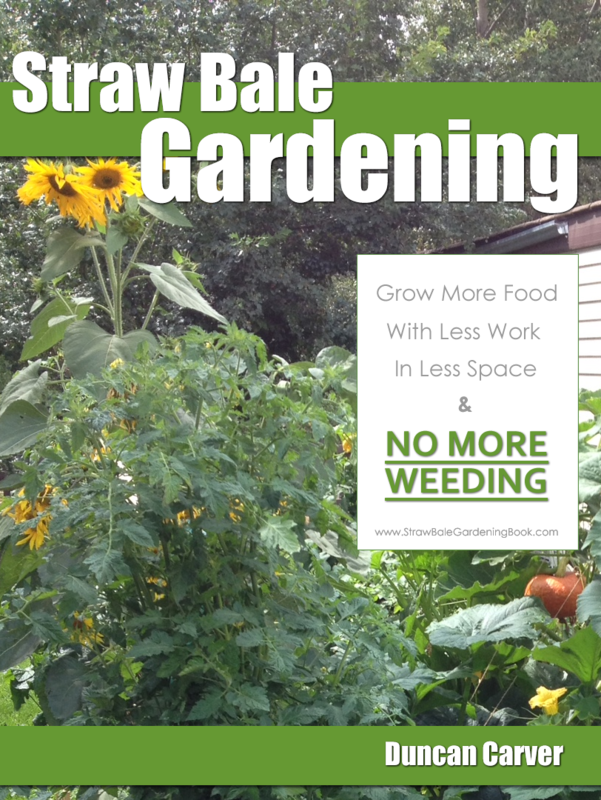 I am considering buying red worms to add to my raised vegetable beds rather than buying worm castings again. You are definitely on the right track in terms of wanting to be more self-sufficient. Producing your own castings, rather than purchasing them is a great idea, and certainly something I strongly encourage. That being said, introducing Red Worms into a regular garden probably isn’t the best way to produce castings – unless of course your bed consists entirely of aged manure or other rich waste materials. You see, composting worms, such as Red Worms (Eisenia fetida) and European Nightcrawlers (Eisenia hortensis), are specialized for life in rich organic matter – not soil. In order to maintain a thriving population of these worms in your beds you would therefore need a high proportion of these sorts of rich materials. If you are interested in attracting a lot more ‘regular’ soil worms – which can certainly help to enrich your soil – into your beds, practicing common organic gardening principles should really help. Again, adding ample amounts of organic matter will be important, but you certainly won’t need nearly so much to keep these types of worms in the area. It will also help to leave your beds as undisturbed as possible – as you might imagine, constantly buzzing through with a power cultivator will lkely end up killing a lot of worms and disturbing their habitat as well. 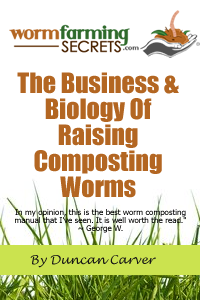 Just so you know – all hope is certainly not lost on the composting worm front! There are plenty of ways you have take advantage of the ability of these worms to quickly turn ‘garbage’ into (black) ‘gold’. Setting up some small indoor worm bins is a great place to start and should help you to produce some nice rich castings within a few months time. My basic ‘quick and dirty’ method for setting up a new worm bin essentially involves mixing shredded cardboard with compostable food waste (fruit/vegetable scraps, coffee/tea ground etc) in a small Rubbermaid tub (I find that a 4:3 ratio of bedding to food works well), then moistening everything with a spray bottle and closing it up for a week or two. This allows time for the moisture to become evenly distributed in the bin and for the microbial colonization (and partial breakdown) of the waste materials before the worms are even added. This way you are providing the worms with a quality habitat and food source as soon as they arrive, rather than introducing them to sterile bin. If you are a little squeamish about having worm bins in your home, you can certainly set up outdoor systems instead. A regular backyard composter actually works very well as an outdoor worm bin. I recommend digging a pit underneath it however, since this will not only provide you with more volume for adding wastes but it will also offer the worms protection from heat and cold. I was actually very surprised to discover this spring that worms had survived our harsh winter in my uninsulated backyard composter – likely by burying themselves down in the materials below ground. One final suggestion, and perhaps the closest to what you were thinking of doing, is the ‘in-situ’ worm bed – a method I will be testing out extensively myself this year. Basically the idea is that you create in-ground compost heaps in various places around your yard and garden – stragically located so that certain plants can take advantage of the compost being produced. Ideally you would set up these systems before planting season, so that there is a fair amount of compost available when the plants are actively growing and less of the partially decomposed waste materials (which can actually do more harm than good if allowed to go anaerobic). In the case of a raised bed, I would likely make trenches that run parallel with the rows of plants. With boards placed over top these can even be used as walkways. Each trench should be as deep as possible to ensure that the composting mass (and worms) stay moist and don’t overheat in the summer sun. Once dug, I would add a layer of shredded cardboard along the bottom of the trench to help soak up excess moisture dripping down. I would then mix a considerable amount of food waste or aged manure with more shredded cardboard, fall leaves – or really, any other carbon-rich material you can get your hands on. Over top I would add a layer of straw or leaves to help reduce the amount of water lost via evaporation. After a decent sprinkling with a watering can, I would leave the system to sit for at least a few days (preferably a week or more) before adding the worms. Once the worms have been added and are allowed to settle in for a bit, you can then continue adding more waste materials (be sure to bury them well) as they become available. There are any number of different variations of this approach that you can try out, but hopefully I’ve at least provided you with a good overview of the basic principles involved.